DHT Holdings says it is unsurprised by recent regional bans on open-loop scrubbing, and they have no impact on the economics of using the technology as part of its IMO 2020 compliance strategy. "Our assumptions and our configuration was in anticipation of countries implementing stricter rules related to the use of scrubbers when ships operate in their respective near seas and ports," Co-CEO Svein Harfjeld said during today's Fourth Quarter 2018 earnings call. "As such, recent announcements by various states to not permit the use of scrubbers in their port or coastal areas do not change our expected economics for these investments." As announced last year, 18 out of the 27 tanker owners' VLCCs will be fitted with open-loop scrubber systems that can be converted into hybrid systems if needed. "However, we do not expect this to be a likely scenario," said Harfjeld. All the vessels in its fleet have a fuel tank layout allowing them to carry various grades of fuels in segregation, and it is intended that the tankers will carry and burn compliant fuel when in emission control areas or ports that do not permit operations of scrubbers. If nothing else, the open-loop scrubber bans announced in recent months by Singapore and Fujairah have added to recent anti-scrubber sentiment, but the message echoed today by DHT that the bans have no impact on their scrubber economics is now emerging as a common theme. 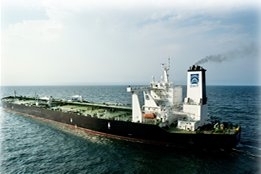 Dorian LPG Ltd this week also said it was unconcerned about the apparent change in attitude towards scrubbers, while Wartsila EVP & President, Marine Business, Roger Holm, last week said "We haven't seen any impact among our customers so far due to bans in some port areas coming in." That said, Harfjeld conceded such scrubber bans could have an impact for operators of smaller ships in the coastal transportation trades. "The VLCCs are sort of the low-hanging fruit from an economic perspective in installing scrubbers, big ships, they are mostly out in open sea and they consume a lot of fuel," he said.